Lire has a nice icon. 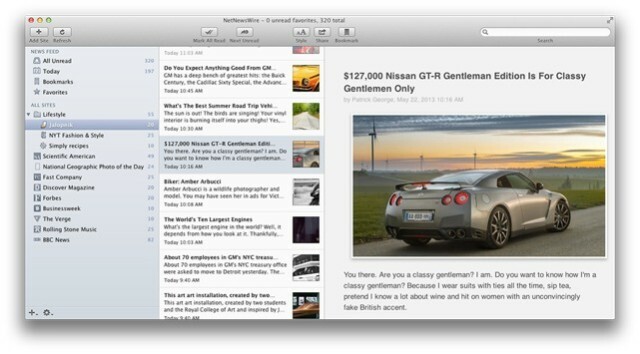 Lire is an RSS reader for iOS, and it just added a great update in the form of drag-and-drop. Now you can grab any news story and drag it either to Lire’s own drop-shelf (iPhone and iPad), or to another app (iPad). It really makes great use of iOS 11’s drag-and-drop, but is let down by other apps’ poor implementation for receiving dropped items. NetNewsWire is the granddaddy of RSS readers, and v4.0 is now ready for you in beta form. It still doesn’t really sync, but it brings the arrow-based navigation from the previous incarnations of NNW that might make it the fastest news reader on your Mac.